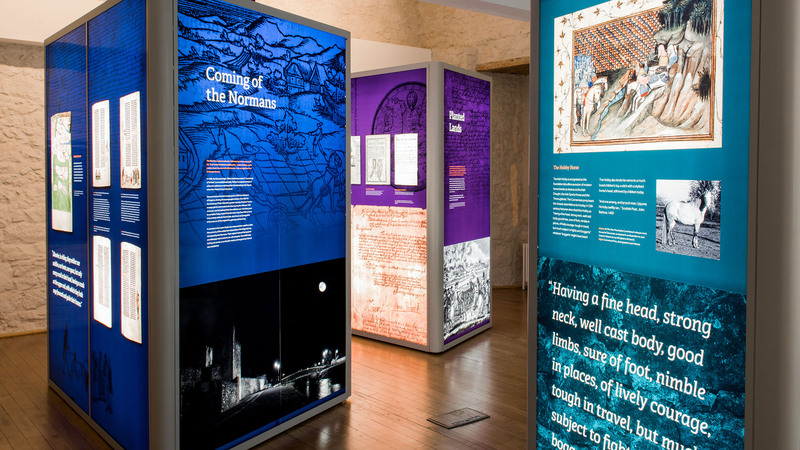 A creative and empathetic partnership between exhibition designer, architect and builder was critical to Fethard’s success. 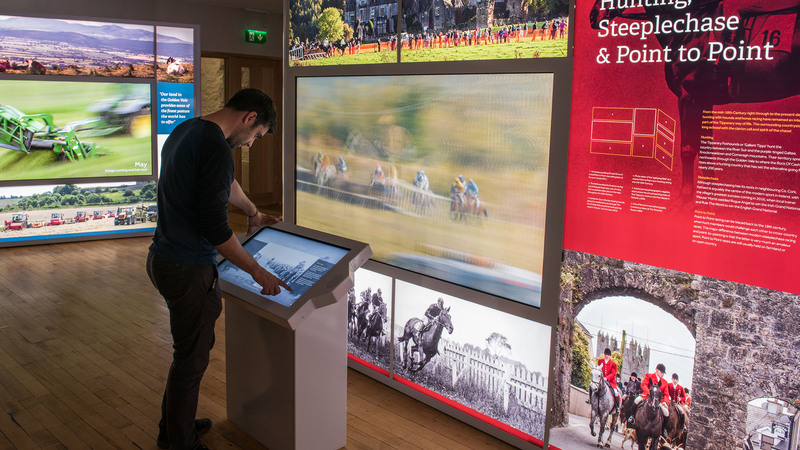 Design development bore the potential of the building in mind and holistic design ensures that the structure of the Tholsel is an essential part of the displays. Exhibition design is of its nature collaborative. 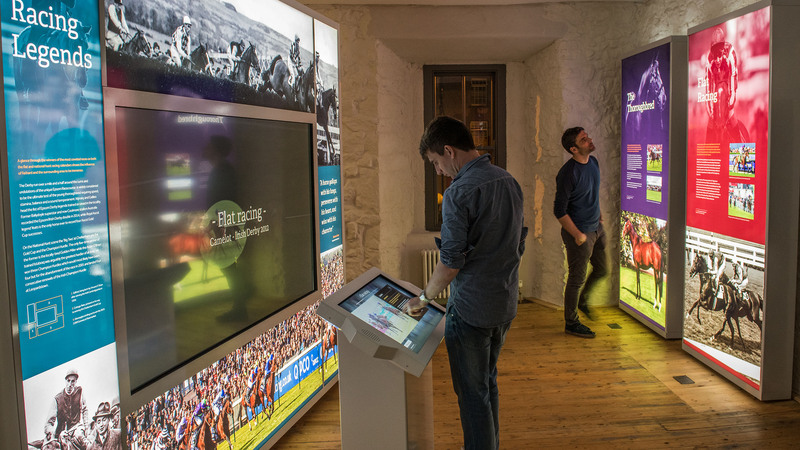 At Fethard, it demanded an understanding of how people use space and absorb information. Showcases and display furniture required the skills of interior/product designers. The vital contributions of film-makers, digital and interactive designers were incorporated. Lighting design brought magic; sound added a layer of interest and surprise. As well as their core role in communication, graphic elements varied the pace, made the most of spatial opportunities and acted as a ribbon to unify and tie displays together. The integration of these myriad elements, both in house and by specialist consultants, was rigorously controlled by Event’s Lead Designer. Space, content, interpretive and display techniques communicate intelligently, so that the completed attraction appears as a seamless and enchanting whole. What, in Event’s experience, was unique to Fethard, was the extent to which local people identified with the project and contributed to its realisation. Fresh stories, suggestions, and even a newly discovered archive of historic photographs, were passed on to the team and significant adjustments made until the very last minute. Event became integrated into the community and there was a real sense of working together, sharing the vision and design thinking to develop the outstanding destination that Fethard deserves.